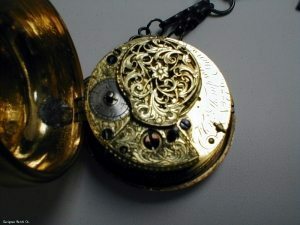 I sent Denis an 1880 Swiss pocket watch. I had previously sent it to the top watchmaker in Ireland, and also to one of the top 10 in England – both refused to restore it, as It had been badly treated and badly repaired in the past. Denis took my watch and restored it to the highest standard and in the process restored my faith in the maxim that “everything can be fixed”. My “rescue” watch was returned to me in better than excellent condition. This very articulate and capable man invested more time and effort restoring my watch than is reflected in the price he charged. I cannot possibly thank or recommend him enough. If something needs fixing – Denis can, and will fix it. I’m extremely impressed with the beautiful work that Denis did to restore the dial of my late father’s 1953 Girard-Perregaux Compax chronograph. He relumed the numbers and hands with close matches to the original colors — the dial now looks as if its new from the factory. He also repaired the flyback spring, repaired the push-buttons, and cleaned the mechanism. Some of it involved correcting a poorly done repair, which I had done through a GP dealer near San Francisco. Given Denis’s talents, restoring my watch probably wasn’t too challenging. 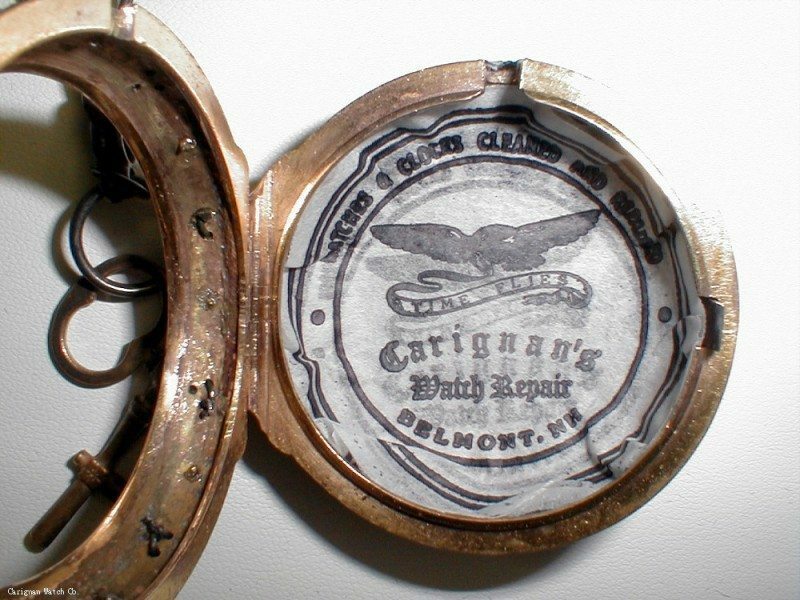 I highly recommend Carignan Watch Repair — your watch will be in excellent hands. Fantastic, quick, personalized, knowledgable, fair priced service. I have had my watch repaired at other places and none compare. Amazing watchmaker… Dennis serviced both my Heuer Super Professional dive watches that are over 35 years old, and returned them to better than new condition as they both keep better time than ever before… One is within 3 seconds a day, and one is within 7 seconds a day… much better than the 15 to 20 seconds a day that they were ever since I’ve owned them. No other watchmaker or watchsmith will touch this watch, because it is a one piece case and the bezel is more than a bear to remove and replace in perfect condition… very few are willing to take a chance on it. My deepest gratitude and thanks. Experienced, expert watch repair no matter how old or new your watch is! Referenced Denis on the internet and sent him my 1970 Universal Railroad Watch that had not worked properly (if at all) for several years. We discussed the necessary repairs extensively. It was obvious from our conversations that he is truly devoted to his craft. I received the watch back today, and it not only works, it is beautiful. Denis is truly an artist. Highly recommended for a timepiece that i important to you. Watch cases turned out nice and very happy with the experience. Very talkative, knowledgeable and approachable on the phone. Great guy! Denis does great work and shows his passion for watches during his conversations while at the shop. He recently restored my Tudor Osyter Prince 7965 and it is now ticking like a dream. I would recommend Denis to anyone. My late father-in-law had some old watches including an ancient Hampden. (1880’s). My wife knew I like pocket watches and brought it home. Not only was it beat up but it was missing some key parts. A local jeweler/watch repair said it was hopeless. 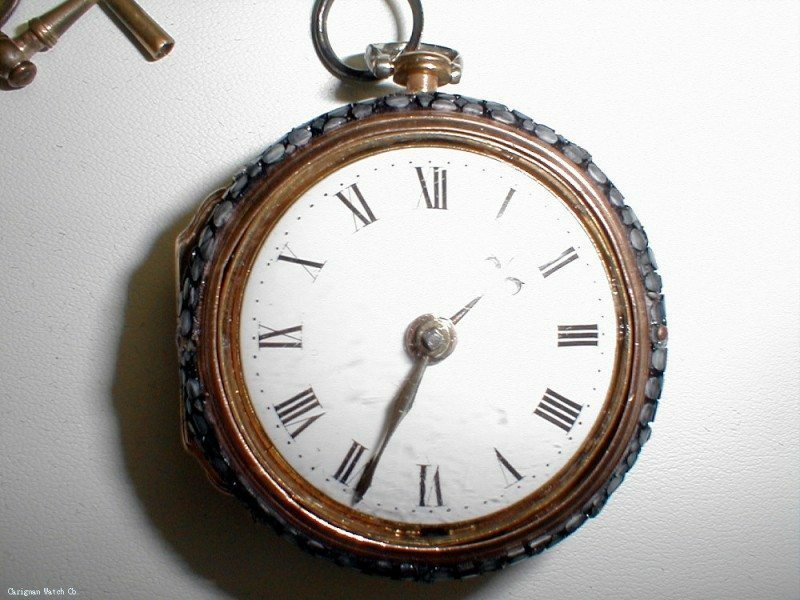 A California antique watch repair firm likewise said impossible. Fortunately, I did a search and found Carignan. Denis was not only able to manufacture the needed parts but undented the dents and polished it to like new. It works perfectly. Fortunately the crystal was in excellent shape and Denis was able to find a proper key wind for the watch. It wasn’t cheap, but it was quite reasonable considering the effort he put into restoring this old gem. I would without hesitation, recommend Carignan Watch Repair. Denis and Heidi are class people, very honest and friendly. P.s. I also needed a little coaching as to how this watch actually functioned. Denis was able to help me. Tony R.
I took my 150 year old F. Molyneux Geneva pocket watch to a local watchmaker who told me it had a broken main spring and a damaged center wheel. He polished it up and told me to hang it in a dome. I bought a dome but couldn’t stand looking at it knowing it could run again. I contacted numerous watchmakers, from here in Oregon, to San Francisco and Seattle, and, then, several back east without any luck. I joined the National Association of Watch and Clock Collectors looking for a lead. 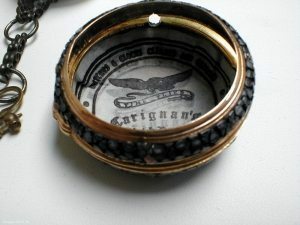 I posted on a blog and got some encouragement to keep looking and, shortly there after, I found Carignan Watch Company. I sent Denis the F Molyneux and he called to discuss my options. We had a great discussion. Parts were not available off the shelf, the reason the other watchmakers declined the job. Denis was willing to make the repairs warning me the costs could jump exponentially. I never got that call ; the repair cost was within the original estimate. The day they shipped the watch back Denis and I talked and he told me it was running really well that he was really pleased with the results overall. WOW, upon return the watch is keeping perfect time and looks like it just came off a jewelry store shelf, new. I could not be happier!! Thank you Denis and Heidi! Denis and Heidi are very kind, helpful, and honest people. 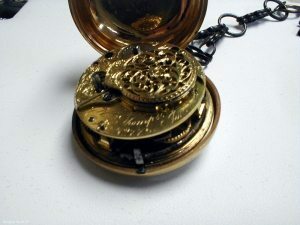 I took my husband’s broken pocketwatch to them after looking for a repair place I could trust. It was a gift from my father-in-law and had familial, sentimental value. I’d given up looking for a repair place since most places send the watches out. I took it to Carignan’s and it didn’t take long for Denis to figure out what was going on with it. He even showed me the insides to let me know it still worked, only needed a new stem. He also showed me the make, model, and year it was made in a watch book so I knew more about the watch. He gave me good advice on whether to go with a crystal or faux-crystal front and took the time to get to know what I knew about the watch, and what it meant to me. They gave me a time frame and a price and I am happy to say that both were right on the money. I went to pick up the watch and it was working, keeping time, polished, and looking like new. When my husband had forgotten to wind it, they were both very patient and helpful through phone and email communication in helping us set the time. My husband is so happy with his pocket watch and when my father-in-law saw it was fixed, he was ecstatic. They do fantastic work and are great people. I can’t recommend them enough! After my father passed away I wanted to get one of his watches repaired and restored. It was in pretty bad shape with a scratched body and busted crystal. After e-mailing a few different companies I decided to go with Carignan Watch company. It was the best decision I could have made. I shipped them my watch and had a 30 minute conversation with Denis going over my options, costs, bands, and all of my questions were answered. The final costs fell within the estimate that was given. After receiving my watch I am very impressed with the end result, it is beautifully restored. I would 100% recommend Carignan Watch Company to anyone that needs to have work done on their timepiece. If I ever need to have any more work done this is the first place I will turn to. Thanks again! 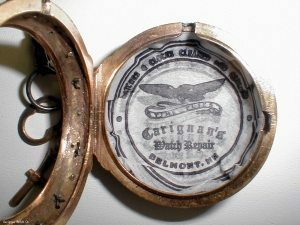 In a search for a place to have a battery replaced in the Lakes Region, I was led to Carignan Watch Repair. Im so glad to have found this watch repair company. Nicest people around!! They changed my battery while I waited and offered wonderful conversation. Very knowledgeable and friendly. I highly recommend this watchmaker and will return with all my future watch repair needs! Thanks for the outstanding customer service!! I am happy to have found Carignan Watch Company and they never disappoint. From my first Key wind”yard sale” find to my magnificent early 19th century fusee currently being restored, I would never trust my fine watches to anyone else. Awesome experience. Carignan totally rehabbed a vintage Breitling to perfection. Even though I live in MI, the process of sending the watch to New Hampshire was easy. Denis communicated with me well and offered options. Good pricing, great customer service, excellent workmanship! Denis was able to remove the lug dents and the case back dent from my 18k Baume and Mercier case. He also replaced the broken crystal. He did a great job with a fragile case. Note the before and after photos of the case. My brother went here to get his watch strap adjusted. Super friendly service and tons of knowledge about high end watches. Offers repairs via mail order. Denis, Thanks for the outstanding craftsmanship on my 55 year old 1963 Tudor Oyster Prince. I purchased this watch new when I was nineteen years old, it was the first watch I ever owned. Thanks to you it now has a new lease on life. Alan F Jones , Mount Vernon WA. Denis and Heidi were fantastic to work with. I wanted to get my wife’s 70-year-old Omega watch repaired, since it barely ran at all, and could not find anyone willing to work on it due to its age. I was turned down by a half dozen places before calling Denis, who immediately said he would be more than happy to work on it. Denis went above and beyond every step of the way. For starters, he’s an incredibly friendly guy. His cost estimate was spot on. He called us with status updates as he worked on it, and gave us a very detailed explanation of everything he was doing during the repair. 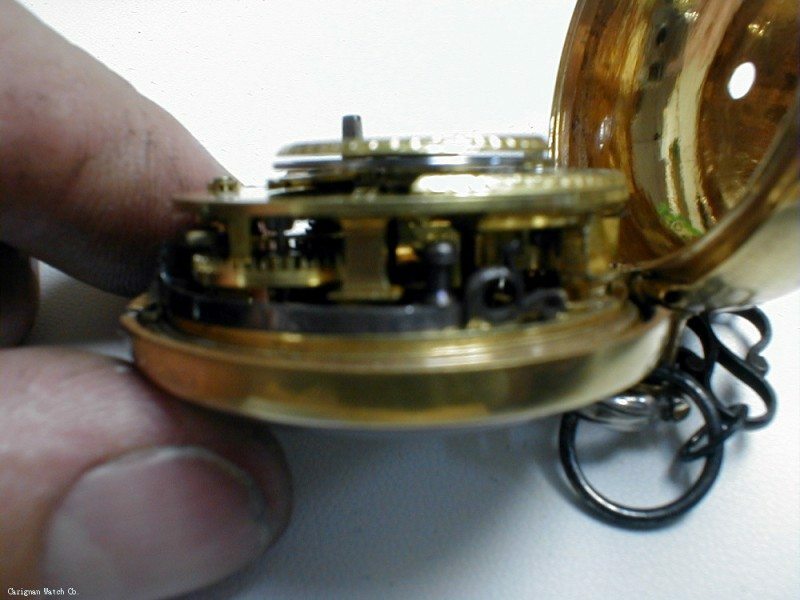 He fixed individual parts that he could not find replacements for, and machined and polished the watch case. It looks absolutely like new now. He explained that he has a guarantee on all watches he repairs, and that if it “settles in” and starts gaining or losing time, we could bring it right back to him to be re-adjusted. Thanks so much Denis and Heidi, you will definitely be getting our business again! Wow. I have a handful of high end watches including a bunch of dubey and Schaldenbrand aerodyn duos, one of which I wear daily. The watch is 20 years old at least and has never been serviced. I figured it was a bout time to service it, plus it was winding kind of rough, plus the crown broke off a few weeks ago…plus there was a nice gouge in it from hitting a wall with my wrist. I didn’t know who was out there, so I googled it and found Denis. Fortunately he’s about 45 minutes from where I live; drove up there and a month later (he’d said 3) I found out my watch was done. He’d put a new crown on, cleaned it, it winds perfectly, and polished it. Looks brand new and man, does it look good. I hope I don’t have to bring any other watches for repair, but if I do, I know where I am going. This is old world craftsmanship at its best. Not inexpensive, but way better than if I sent it in to D & S and way better work than a mall or chain jewelry store. Worth every cent. I sent my vintage Clebar Manual Wind Chronograph in for case refurbishing several years back and I must say Carignan Watch Company are experts at their craft. The timepiece looked brand new when I received it back from repair. I will definitely work with them in the future for additional timepiece repair I may need. I highly recommend Carignan for timepiece repairs. Denis did an amazing job on my grandfather’s Omega pocket watch which was neglected and mishandled by numerous watch repair services. His attention to detail and knowledge of watches in truly remarkable. Denis also does an excellent job communicating and explaining the repairs that he is making. He is passionate about his work and one of a kind. A true craftsman. My grandfather’s watch looks amazing and finally runs well. I look forward to enjoying it for many years to come. Knowledge of old and new time pieces. Very honest owner, told me up front what was worth fixing. Very polite and gives his customer care of time and service. Dennis Cariganan is the BEST! My husband and I enjoy collecting watches and recently brought 6 Tag Heuers and 2 Breitlings to Dennis for battery replacements. He completed the job while we waited and even steam cleaned all of them includiing my wedding rings! Previously we had gone to Tourneau in Boston or NYC to have our watches serviced….but never again! Dennis is our “go to” guy from now on! Additionally, you couldn’t ask for friendlier service. His wife and assistant Heidi was kind enough to print out menus of her favorite local restaurants when we asked where we should have lunch. Dennis is brilliant at his craft and it’s a pleasure to do business them…we plan to spread the word to friends about Carignan Watch Company…they’re that good!! We sent my late mom’s gold Swiss watch to Denis for repair. It wasn’t running and the back kept falling off. We had asked a couple of other watch restoration firms if they could fix it, and they declined because either they couldn’t get the parts or it was too difficult a job. When we got it back from Denis it looked like a new watch, and runs perfectly. We are saving it for our granddaughter. The charge was very reasonable. Denis is a true craftsman. Always a great experience. Denis has a tee shirt that reads ‘I can fix anything’ and it’s true. 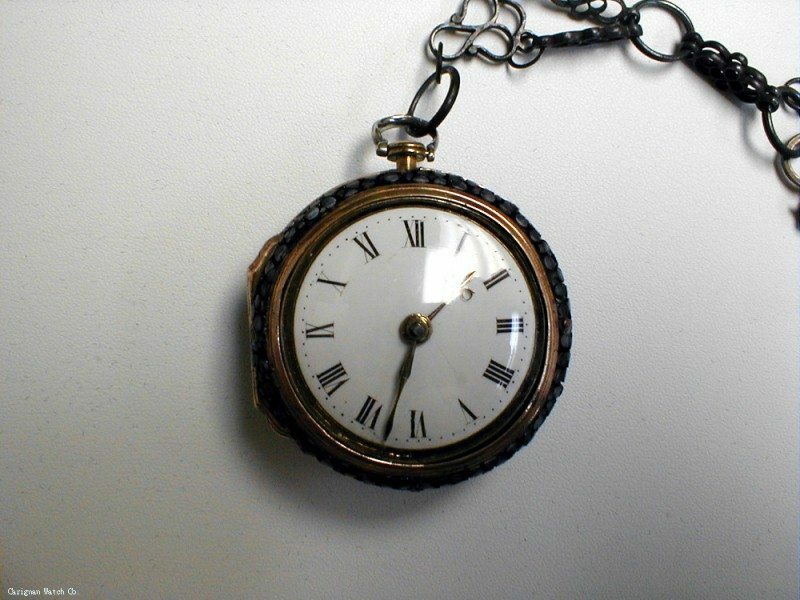 He has expertly repaired three of my (both sides) Grandfathers’ wrist and pocket watches, preserving these heirlooms to pass on to the next several generations..he is able to MAKE most any part that’s not in his extensive collection. Denis is a wealth of knowledge. He can fix everything from antique pocket watches to modern, advanced Swiss watches. After having several bad experiences with supposedly reputable service centers for Omega and Oris, I am so thankful I discovered Denis at Carignan Watch Repair. I now send all my watches to Carigan for standard servicing and repairs. My watch could not have been in better hands. Denis’ knowledge and personable service was top notch! Denis, Thanks very much for the overhaul on my Rolex Date watch. Before overhaul, it was running very fast, and it’s now running within one second each day. For anyone looking for excellent watch repair, Carignan is your company. Denis overhauled a 1960s manual-wind IWC Calatrava-style watch for me in 2003, and it literally stays on time to this day with no time gain or loss. He also did considerable case repair on that watch, as well as bracelet repair with the overhaul on the Rolex date. Denis makes a point to let the customer know how the repair is going during various stages, and I’ve learned a considerable amount about the watch functions from this level of customer service. I’ll forever be a customer. Dennis, I received my Heuer Regatta countdown chrono watch this PM. and Immediately took it over to my uncle who is also my gunsmith. The highest praise comes from another craftsman who has been at it for over 60 years. “He is one of us” Great job, quality work, and it looks every bit how you described it. I learned years ago never rush a pro and by taking our time the watch is beyond what I expected. Thanks again and I will get some more units to send you as I do not need Rolex on 5th Ave in NYC anymore. All these years I described to my wife how the countdown went with the different colors. She saw it for the first time working and now knows why I loved this watch. Dear Denis: I would like to thank you for the excellent work you did to restore my Grandfather’s fusee watch! 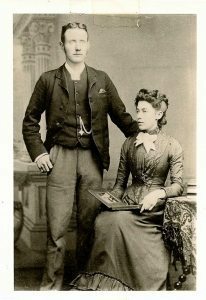 I am attaching a picture of him and my Grandmother that was taken on June 3rd, 1895, when he was about 25 years old and working as a conductor on the railroad in Scunthorpe, England. Attached to his vest you can see his watch chain that leads to the watch in his pocket. I suspect that he inherited the watch from his Grandfather. When the watch came to me after having been tossed into a box of things ready for disposal, I was concerned about its poor condition and thought that it would never run again. I kept it because it had belonged to my grandfather with whom I had a very special bond. This morning when my wife and I opened the box containing the watch, which you had brought back to original condition with your tedious and caring workmanship, we were absolutely amazed at its beauty! Every time we look at it, we will remember the painstaking effort you put into it. You have restored a family treasure that we plan to pass down to future generations. Although we have never met, you seem like a good friend. We also give a hearty thanks to your wife Heidi and your secretary Elise, for supporting you as you obviously gave numerous hours to bring this timepiece back to life! 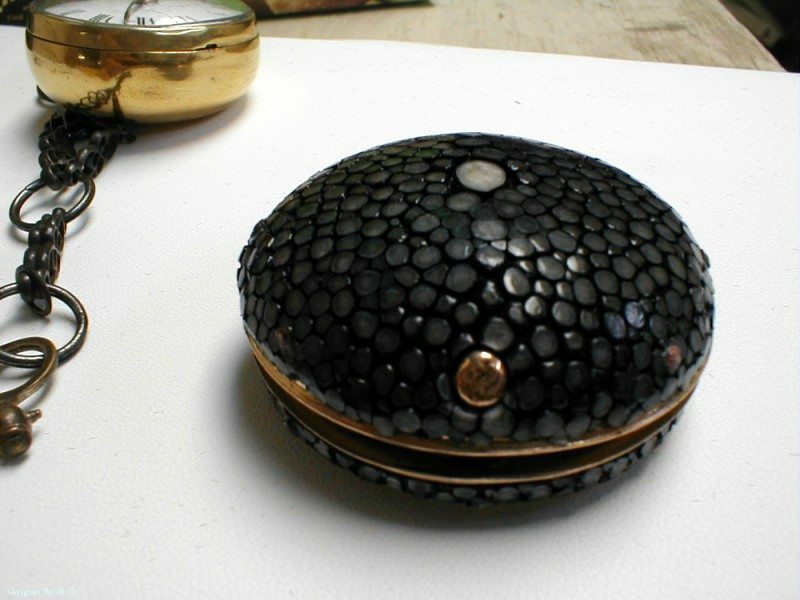 (Hen’ Thompson, JUN #776, pair cased, Verge Fusee with black sea ray leather covered outer case from early to mid 1700s) We completely restored this watch from replacing missing and broken parts to even replacing the sea ray leather on the outer case. This watch was in very poor condition when we received it so we are very happy with how well it turned out, we only wish we had the “before” pictures still. Gentlemen, It is not very often in this day and age that a business takes the time and effort to perform a truly extraordinary service. One such company is carignan Watch company. From the moment I first contacted Carignan watch company via email, I received prompt and curteous assistance. Upon my arrival at their store, i was greeted and made to feel welcome. Prior to contacting Carignan, I visited several watch dealers in the Portsmouth NH area. I was told that the watch I owned (Tag Hauer Aquaracer) would have to be sent out for repair that could take up to six weeks and cost upwards of $250 USD. Not only did Carignan immediately tend to my watch, but the cost was SIGNIFICANTLY less. Carignan also had the means to pressure test my watch which no other facility had. In short, if I were asked if I would refer them to another, the answer would be unequivocally absolutely. I wish nothing but the absolute best of luck to Carignan Watch Company, and years of good fortune. Denis Carignan gave me back my favorite watch!!!! In 2001, I purchased, loved and wore to death a limited edition SPOON watch, made by Pulsar (Seiko). I wore that watch day and night for 7 years and got tons of compliments on it for its unique metallic blue oval face with a blue dot in the center. The watch has cool hands with a second hand, glows in the dark, shows the date, has a beautifully chunky bracelet, and always kept excellent time. 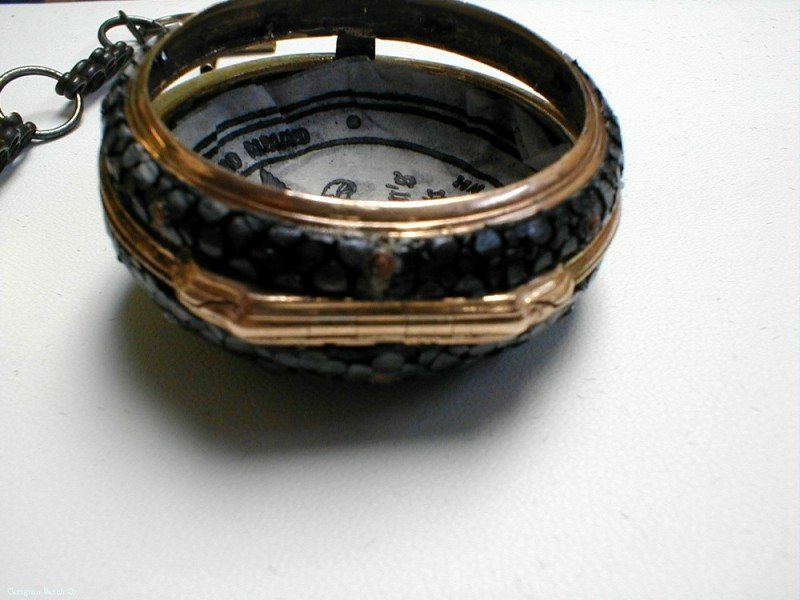 However, the crystal ultimately became too scratched to be worn, so I retired the watch, hoping to replace it.In 2008, I contacted Seiko/Pulsar and numerous watch dealers and retailers but could never found anything like it again and even tried earnestly to find a used SPOON on Ebay, etc. but never could. Knowing the watch was one-of-a-kind, I took it to numerous repair shops throughout the San Francisco Bay area where I live, but none could find the crystal. I even sent the watch to Seiko/Pulsar Watch Repair headquarters in NJ and after waiting 3 months, received the watch back with a note saying the crystal could not be replaced. 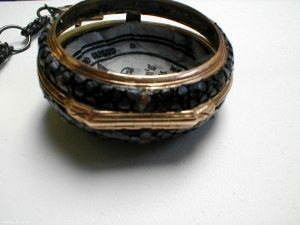 In deep despair, and unable to discard the watch despite its unwearability, I wrapped it up and put it away in a drawer. Two months ago, I discovered the watch in my drawer and decided I would try again. This time, I did an internet search for custom watch crystals and found Carignan Watch Company. I called, spoke with Denis Carignan and upon telling him my story he was very upbeat and optimistic that he could help me. He immediately started a search for the crystal and I sent him my watch the next day. His customer service was impeccable – he called me regularly to give me status updates and about 8 weeks later he called to tell me the watch was ready! I could not believe my ears. Denis was excited as I was! 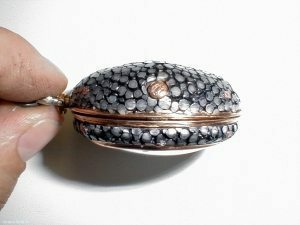 In addition to a beautiful new crystal, he steam cleaned the watch, rhodium-plated the areas that needed it, and replaced the battery – all for a very reasonable price. I was prepared to pay a lot of money for a custom crystal but he was able to do what no other watch repairer could. 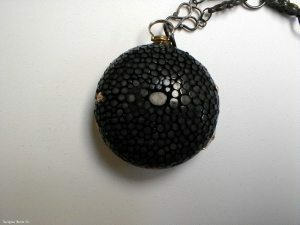 I am forever indebted to Denis Carignan for giving me back my beautiful one-of-a-kind watch. Thank you, Denis! My husband’s Rolex arrived yesterday running perfectly and looking awesome! Thank you so much for your work and dedication. In today’s world it is hard to find a true craftsman. Someone who has mastered a skill to a level that it becomes an art form. Denis at Carignan Watch Company is one of the few people who I would put in that classification. My dream watch has always been an omega Broad Arrow. Since my budget was limited I was forced to buy a used watch with some very noticeable cosmetic flaws. It was due for a service and serious spa session. My expectations were to see some improvement but ultimately having to live with the imperfections of a used watch. Much to my surprise the watch came back near perfect, I mean near perfect. His attention to detail and quest for perfection were beyond expectation. A $5000 watch to me is a once in a lifetime purchase so needless to say I am without words for the job that he has done. Some would take the typical route and send it to omega but I guarantee that they would not have taken the time to care for this beautiful watch like he did and would have charged me a great deal more. Thank you for a job well done. I received my TAG Chronograph the other day and it looks great. Keeps perfect time. Thanks for getting this done in a timely manner. Dear Denis, Thank you for overhauling my 1936 Rolex. 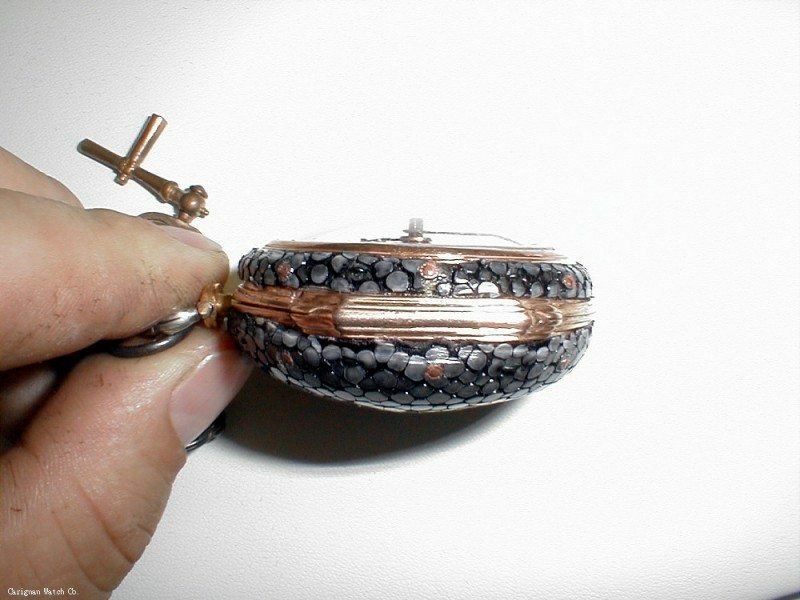 Your hands, skill and workmanship turned a crippled old watch into a fabulous looking piece of jewelry. It is teriffic, and I’m so grateful for your kind attention to detail and courteous service. The quality of your restoration is remarkable and I’m forever grateful. You have my highest recommendations, period! Again, thank you for the wonderful and timely service. I sent you my beat up omega Mini Constellation watch for refurbishing and you did an excellent job with a very quick turnaround time. I couldn’t be more pleased. The watch looks like it just came out of the jeweler’s showcase. Thanks so much for the fabulous job and the great customer service. Denis, I want to thank you personally, as I feel that my family owes you a debt of gratitude. 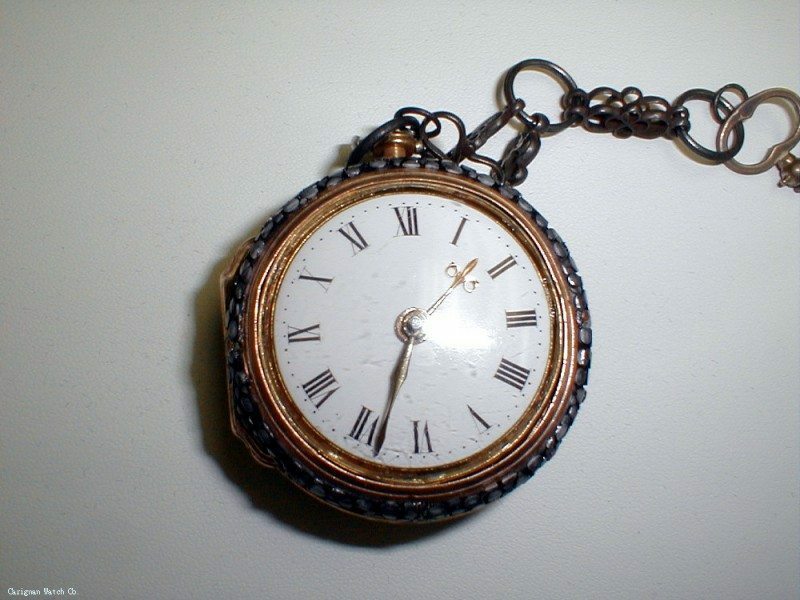 This watch has been laying at the bottom of drawers, largely forgotten for a century or more. Your skillful restoration, taking every care to preserve the antique dignity of this watch, while allowing it to take it’s place among the prized family heirlooms is very deeply appreciated. You had every opportunity to charge me a LOT more money, as you and I both know that I would have paid almost any amount for this restoration, but your honesty, professionalism, and golden-rule virtues are traits that are so uncommon in today’s greed-induced world. I would recommend you without reservation to anybody. My sincere thanks, friend….and God bless. I hope our paths cross again soon. This watch has now been owned by 8 generations of my family. My father will be 91 on his next birthday, and is the oldest son of his father. My father remembers this watch, as a child, but has never seen it run. 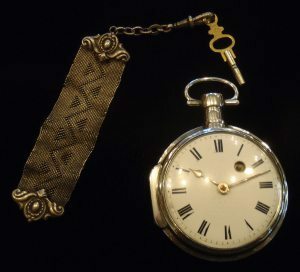 The history of George & Jonas Roush can be found on the internet, by searching for “The Shenandoah Valley Roushes.” This watch is believed to have belonged to one of them, but we are uncertain of which. George Roush married Catherine Zerkle approx 1781, and had a son named John Roush. Jonas Roush married Barbara Fox approx 1785, and had a daughter named Regina. John Roush married Regina Roush, and had a son named Benjamin Roush, who married Sophia Altman in 1839. Benjamin and Sophia had a daughter named Sarah Elizabeth Roush, who married John Michael Kauff I 8/6/1865. Their oldest son was John Michael Kauff II, and the watch was designated to be passed to the oldest living John. It passed to my grandfather, John Preston, on John Michael II’s death in 1947, and to my uncle John Richard, upon his father’s death in 1973. My father was the eldest son, but was not named John, so I intend to modify the lineage of the watch slightly, having received the watch when my father’s younger brother passed in 2005. It was a sad day when I received it, but my intent is to return it to my father to belong to his generation for as long as possible. Mr. Carignan is one of a rare breed in this world – an honest tradesman. 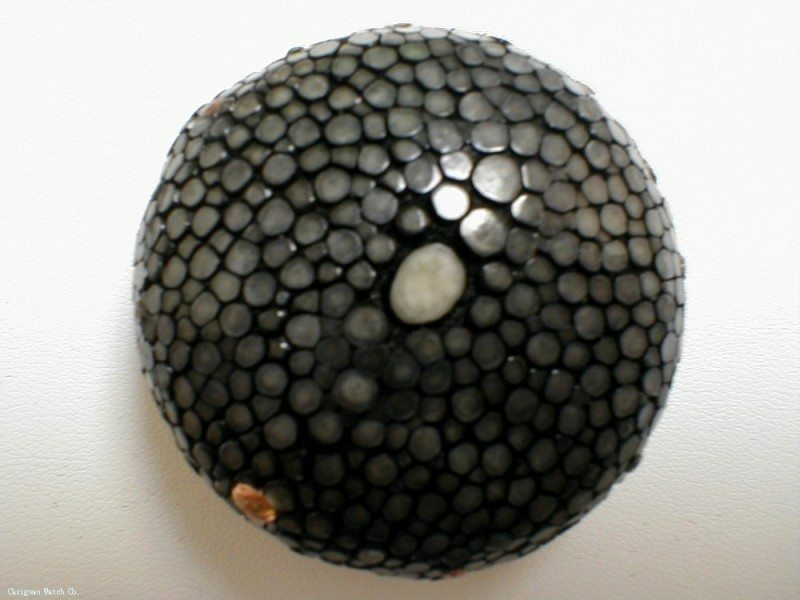 He is, moreover, a painstaking artist and craftsman – an even rarer breed still. I sent to him an 1870’s English verge fusee I had recently purchased that had stopped running. Despite an already busy repair schedule, he very obligingly took on the commission to set my watch in running order again. He obtained a proper bulls-eye crystal to replace the broken and likely incorrect previous crystal which greatly enhanced the fusee’s appearance and cleaned, oiled, and repaired the internal mechanism all within my stated budget. I might add that work beyond my cost limit was done at no extra charge – a testament to his dedication to and love of horology, not to mention generosity of spirit. It was an edifying pleasure to communicate with him throughout the repair process. New to the world of such collector timepieces, I will not hesitate to resort to his expertise in future for the maintenance of this watch and the acquisition of others and recommend his services without reservation. Fantastic, quick, personalized, knowledgeable, fair priced service. I have had my watch repaired at other places and none compare.